Om 23 April 2013, Venner af den nationale Parks Foundation (FNPF) released six Javan Myna in Pura Luhur Besi Kalung at the foot of Mount Batukaru in Tabanan, central Bali. The initiative was kick started by longtime FNPF supporter, Farquhar Stirling. The birds were obtained from poachers and underwent some treatment and rehab at the FNPF facility until we felt they were ready to be released. 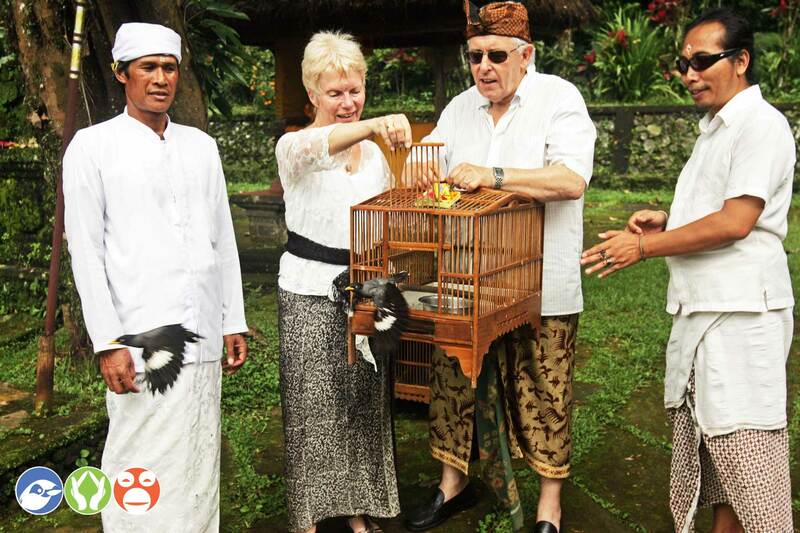 Prior to the release, a ceremony was held in Pura Luhur Besi Kalung to dedicate the birds. Besi Kalung is one of FNPF project sites for conservation programme around Mount Batukaru (including a release programme).The programme in Besi Kalung was started at the initiative of the local community whose wish it was to have a similar programme by FNPF in Nusa Penida – using holistic approach for conservation.